The Hollywood 5 is a fast-paced countdown of the stories you and your friends are talking about wrapped in your favorite music and delivered by J-Si Chavez! 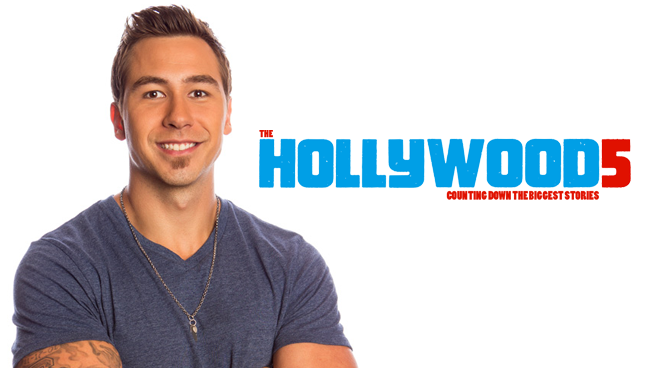 Each week J-Si counts down to the #1 story in Hollywood with the help of his celebrity friends and Hollywood insiders. With exclusive access to celeb-filled red carpets, premieres and parties, The Hollywood 5 is everywhere! From the inside scoop to the music, The Hollywood 5 countdown is your new pop culture fix. Listen to The Hollywood 5 Sundays, 9 PM – 11 PM on 93Q!